After six days racing and five days in the desert, the Abu Dhabi Desert Challenge, third round of the FIA Cross Country World Cup, is over. 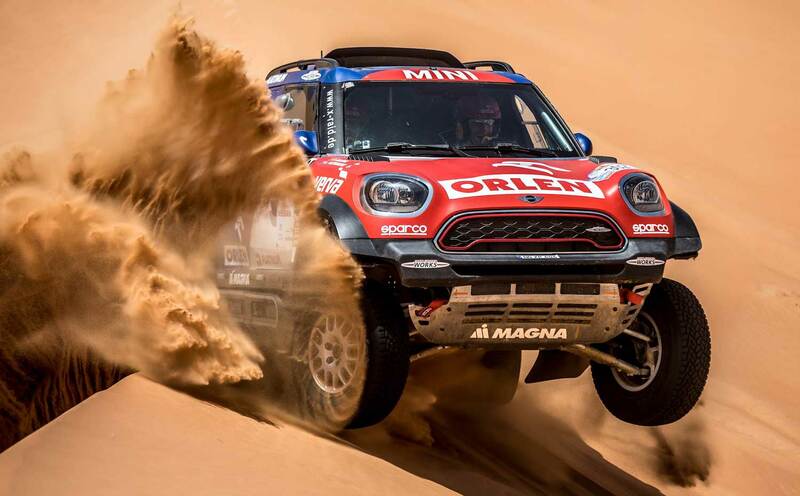 During the last especially five days we could see dramatic fights in the gigantic dunes of the United Arab Emirates, the great Comeback of Luc Alphand, the start of Cyril Despres in a SMG Buggy, the dramas in the Nissan Navara crews and the surprisingly mixed results of the totally differing X-raid Mini-Crews. And yes, also again a drama for the last year´s winner Sheik Al Qassimi, who finally had to retire in the last day with his former factory Peugeot 3008 DKR. The big winners in the cars are the Czech Martin Prokop and David Pabiska, who could hold their overall leading position since SS02 and win the race in 17:06:57 hours. After his 2nd place in the Baja Russia Northern Forest and 4th place in the Dubai Baja his first win in this year´s FIA World Cup! Finally the Czech crew was 13:30 minutes faster than Jakub Przygonski and Tom Colsoul (POL/BEL, X-raid Mini) and 46:29 minutes than the third Vladimir Vasilyev / Konstantin Zhiltsov (Russia, X-raid Mini). 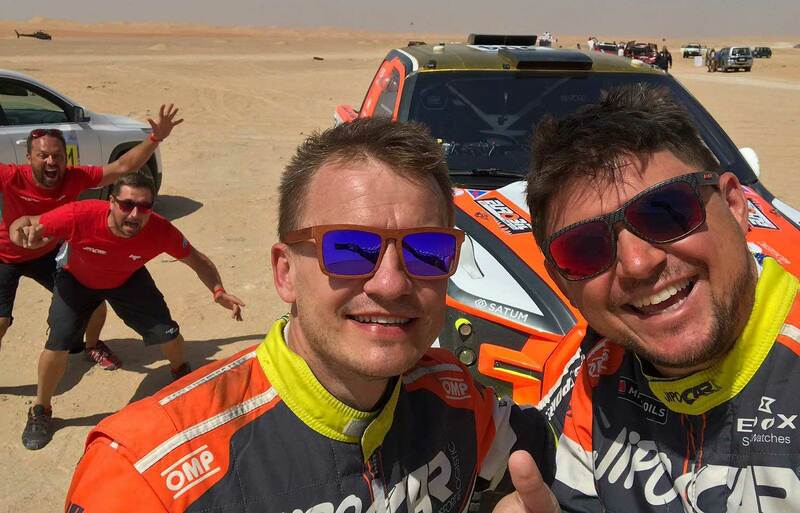 "I´m very happy to win and to be in the finish in total," Martin Prokop said after the last stage. "This is really amazing! It´s the result of three years hard work. I was coming very often here to Abu Dhabi for training. In the beginning I was struggling and my codriver was shouting to me all the time ´don´t get stuck, don´t get stuck´ and I answered `I know but what should I do´ - but we got experience and finally we could win here in this very important race." The Top 5 were completed with the SMG Buggy debut of the former Peugeot factory driver and Dakar winner in the Bikes Cyril Despres from France together with his Swiss navigator Steve Ravussin (normally in the sailing sport) with +01:31:38 hours and - sensationally - the X-raid Mini of the German "Gentleman" and former KS-Tools Boss Stephan Schott together with the well experienced navigator Paulo Fiuza from Portugal (+03:17:18). 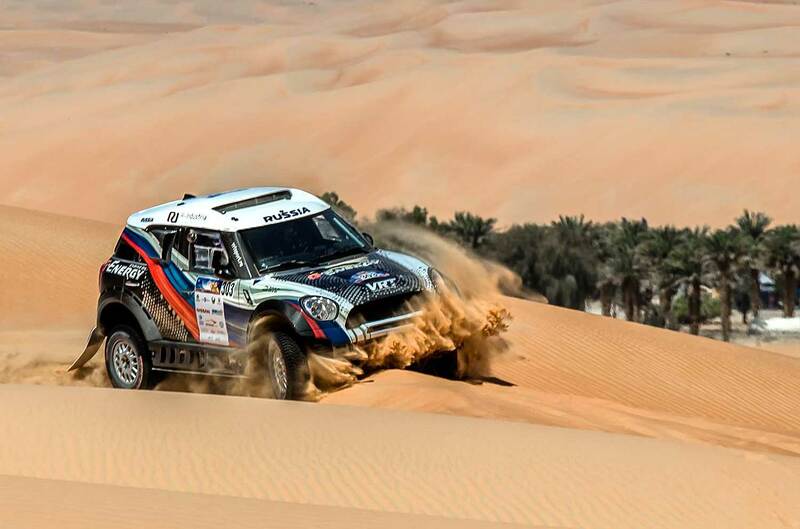 In the T2-production cars, Ahmed Al Shegawi from Saudi Arabia and French navigator Laurent Lichtleuchter from France are the winners with their Nissan Patrol in 23:17:25 hours, followed by the Qataris Adel Abdulla / Nasser Alkuwari (Nissan Patrol, 24:03:19) and the Russian lady Yulia Migunova-Khegay together with her Latvian codriver Aldis Vilcans (Toyota Land Cruiser 200, 44:59:12). In the SSV, Jose Luis Pena Campo and Rafael Tornabell could win the Rally with their Polaris RZR 1000 (22:11:03 hours), second are Vincent Gonzalez / Stephane Duple (Switzerland/France, Polaris RZR 1000, 23:09:47), third the French Patrice Garrouste and Loic Minaudier with their Polaris RZR 1000 in 23:12:21 hours.